Young Lasallians around the world are being urged to organise special initiatives to promote peace as part of an annual campaign that is now in its 10th year. 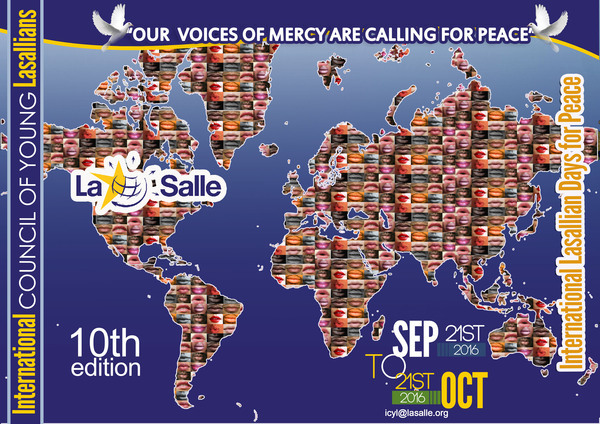 The International Lasallian Days for Peace will take place from 21 September to 21 October and this year, the theme for the event is "Our Voices of Mercy are calling for Peace". This ties in with the broader Institute theme for 2016-2017, "One Call, Many Voices" and with the Jubilee Year of Mercy declared by Pope Francis. "We want to put emphasis on the fact that by showing mercy ourselves and asking for mercy for others, we are building a more peaceful world", explained the International Coordinator for Young Lasallians in Rome, Mr Antoine Beland. 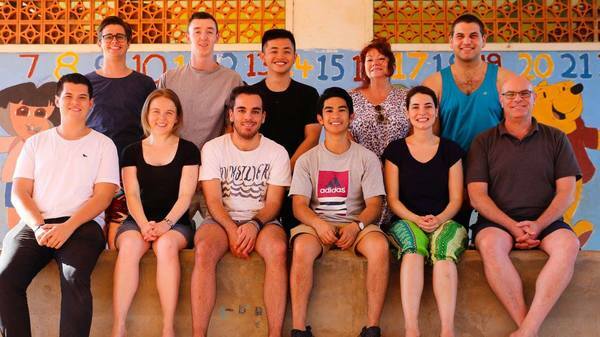 "We invite all Lasallian ministries to participate in their own way and whether it is a single activity or a program that runs throughout the whole campaign, your participation is important", he added. Some of the initiatives suggested by the International Council of Young Lasallians include prayer services, weekly moments of reflection over the four weeks of the campaign or a project of service. Antoine Beland said he is eager to share details about the various initiatives that are being planned across the Lasallian family. He has therefore encouraged Young Lasallians to share photos and videos with their District youth ministry team as well as emailing him directly. A dedicated hashtag #ILDP2016 has also been selected to share material on social media. A talented Young Lasallian artist from Kenya, Pious N'ganga has also designed a special poster to share in Lasallian schools and other workplaces around the world over coming weeks. In a world marred by armed conflicts and the brutal persecution of minority groups, the International Lasallian Days of Peace is a unique opportunity to unite in a common cause with others around our world, united in a charism and a common commitment to supporting those in need.